ThunderBird is one of the most aspired models of Royal Enfield which is poised to enhance the pleasure of leisure motorcycling amongst the touring enthusiasts. Updated. Upgraded. Now as per the BS-IV norms ready to roar on the road. With world-class innovation and impeccable design cues, the all-new ThunderBird is all set to take the legacy of Royal Enfield further in a significant manner. A perfect cruiser bike with a touch of Royal Enfield's old heritage is roaring on Indian roads. 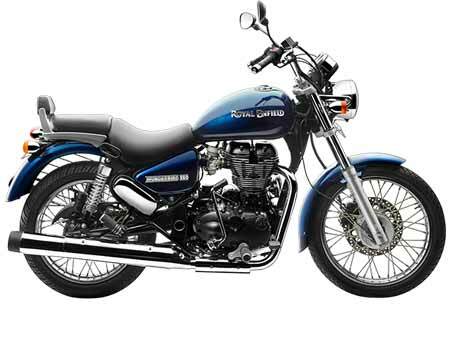 Royal Enfield Thunderbird comes with 350 and 500 cc engine. There are three versions of Bullet namely Bullet 350 Twinspark, Bullet Electra Twinspark and Bullet 500 with 2 engines and 1 transmission option. There are four versions of Classic namely Classic 350, Classic 500, Classic Desert Storm and Classic Chrome with 2 engines and 1 transmission option. Petrol variant with 535 cc engine and manual transmission. My Royal Enfield bike insurance has already expired. Is vehicle inspection mandatory? Yes it is mandatory- Fix up an appointment for the inspection of your Royal Enfield bike. Do note; this can invite a nominal fee. If the insurance company chooses to offer you the coverage, you can make the payment and get the policy in hand. However, if you are lucky enough, inspection may not be mandatory. Yes-an online policy is very much valid. You can also renew your Royal Enfield bike insurance policy with a debit/credit biked or even through net banking. Although, for expired policies you will have to contact us for an offline renewal process. You should opt for a long-term or multi-year two-wheeler insurance plan for your Royal Enfield bike to enjoy pure convenience and be completely stress-free. You can save on premiums, eliminates the hassles of yearly renewals, skip the paperwork and avoid the gap in coverage since you are insured for an extended period.